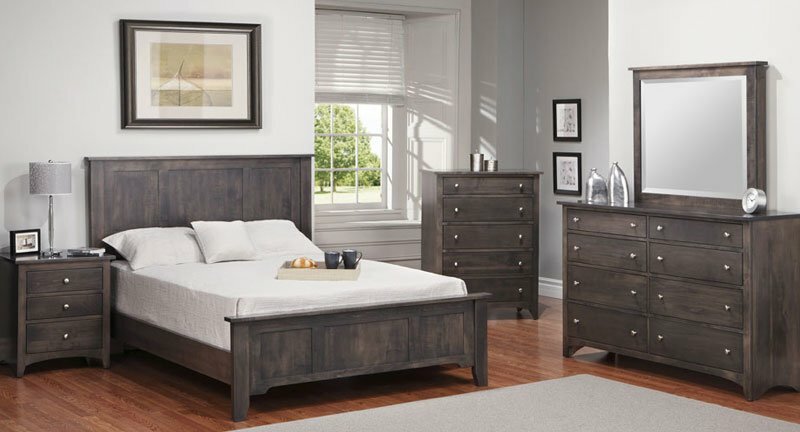 Making the decision to buy custom wood furniture is a smart one. These are the furniture pieces that your household will enjoy for a generation and then some. Now, your mission is to select the wood type that best matches the look and style you want, while also blending with your family’s lifestyle and furniture habits. The following can serve as a cheat sheet as you peruse furniture stores and catalogs, determining which types of wood will be best for your home. 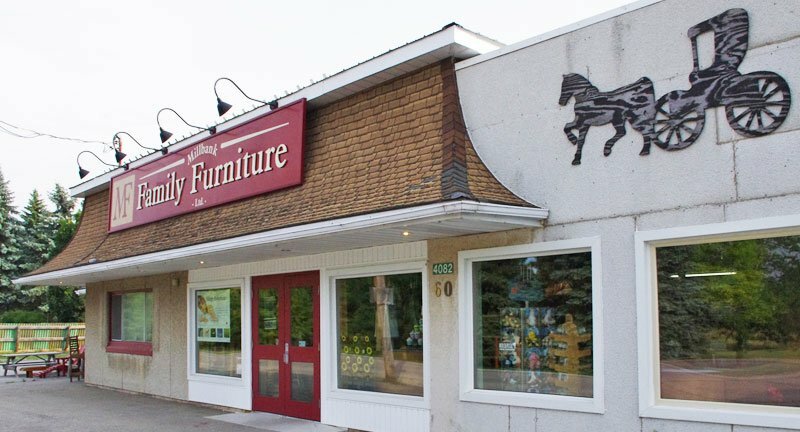 Of course, you can always come visit Millbank Family Furniture for personalized assistance whenever you need it. You’ve heard the term hardwoods and softwoods? As you can imagine, in most cases, hardwoods are harder (more durable) than softwoods, although there are exceptions. Fruiting trees are hardwoods, conifers are softwoods. So you can picture picking up a piece of pine (light and easily scratched) versus a plank of oak (much heavier and harder to ding) and get an idea as to how this translates into furniture quality and expression. Each species of tree has its own cell structure, and these can be open or closed. Open grains take stains more readily than closed cells. These cell structures, combined with the rings the demonstrate the tree’s growth, make different patterns. Patterns can be smooth and barely visible or very wormy or knotty, and you will probably have a preference as to which wood grains you are the most drawn to. Do keep in mind that even if you choose an oak, which is typically a lighter color, or cherry, which is typically a darker color, you can still stain the wood any finish you like. Maple is one of the hardest of the hardwoods. Maple is naturally light, and is popular in modern designs because of its clean aesthetic. It often has a golden or reddish tone as well. Because it is so durable, you’ll see it used for dressers, kitchen cabinets and butcher blocks – all of which are heavily used on a daily basis. It takes stain easily so it is often stained cherry or mahogany (both of which are more expensive woods) to get the look people want at the price they can afford. This is actually a softer maple wood, from the Ambrosia Maple tree. These trees are hosts to the ambrosia beetle, which burrow into the wood. They leave a fungus behind them wherever they go and that fungus causes a beautiful gray-blue streak pattern, which has become a favorite of solid wood furniture collectors. It’s used often for flooring, instruments and beautiful wood accents. Oak has been a valued furniture medium for thousands of years. Its versatile color – ranging from a blonde to grayish to reddish. White oak tends to be the lighter and/or grayer version while red oak will have some warmer yellow to red hues that shine through. Oak is one of the most versatile woods and is used for all types of furniture, flooring, cabinets, etc. Cherry is like a Queen of the hardwoods. It is one of the priciest wood options available, but it is also one of the most rich in appearance, as well as the most durable. Cherry is used for furniture and cabinetry. It has a more mild grain pattern, although there can be some fun and interesting variations depending on how a particular tree grew. It’s hardness makes it a more challenging wood to work with. Most people apply only light stain, if any, because the wood’s color is so rich on its own. Would you like to see examples of each of these woods in person? Come on by Millbank Family Furniture. We’ll be happy to show you around and help you decide which wood and finish type is the best for your particular needs.